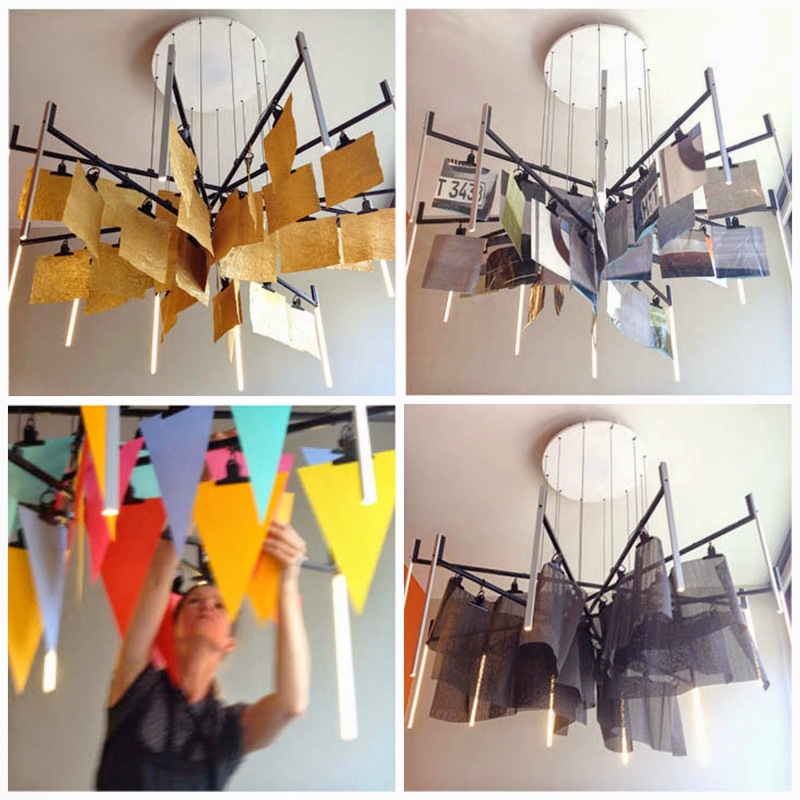 A few weeks ago I heard about this chandelier called De KrOOn by Moving Objects. I fell for it immediately. One of the creators, Ankie Prij happens to be family. She is the hubsters cousin. It was she who introduced me to this chandelier. Ankie a concept designer and retailspecialst teamed up with business partner Ellen Wagenvoort a interior architect and product designer to form Moving Objects. Their first product is De KrOOn. 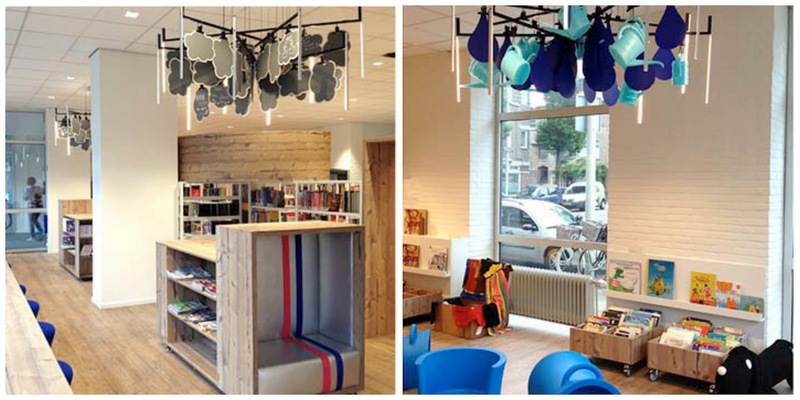 De KrOOn is customisable lamp that can be changed up to suit any space or user. As of now it has only found it’s way to larger design projects such as the public library in The Hague. Measuring 1,5 meters across it’s not an easy object to place in the average home. But I’ve got good news for you if you fell for this lamp as I did. Ankie and Ellen are working on creating a smaller version of De KrOOn. What would you showcase in this chandelier? My I’m already thinking up party themes. Have a great week. Till next time.